As a parent, it can be tricky to find the time to keep on top of housework all the time. With all the demands raising a family can bring, it can be a struggle to keep your home looking clean and tidy all the time regardless of whether you are a stay at home parent or you have a job to add to the mix. But that doesn’t mean we want our homes to be messy all the time, does it? That’s not to say we should all strive to want our homes to resemble a show home either. You have to do what works best for you. I know I struggle to find the time to sort the house out and keep it as tidy as I want it to be 24/7. With Mr H and I both working full time, sometimes it is a struggle to stay on top of it. We are looking at renovating our home to have a little bit more space for the boy’s toys which seem to be taking over! It goes without saying that over the years, you do pick up some tips to help you keep your home looking cleaner and tidier with a little less effort and a few more tips. Sometimes the simplest tips are the best. By cleaning up as you go, you can keep on top of the small messes before they turn into a bigger job. This is definitely something you can get the kids to help out with too. If you have something that needs to go away upstairs, take it as soon as you need to go up the stairs. Likewise, when coming down. Try not to come down empty handed. For example, after taking clean washing upstairs, why not bring down some dirty laundry or dishes that may have made their way up there. In the same way as cleaning as you go, try to assign small blocks of time for cleaning duties instead of one big hit. Wating for the kettle to boil? Why not put away some clean dishes or fill the sink and wash some leftover dishes or maybe brush the kitchen floor? You could also clean the bathroom while running a bath. This means you can get some smaller jobs out of the way quicker, leaving time to do the bigger jobs or something more fun! Rope the kids into a fun game of who is the fastest or whatever else works for your family. By turning something boring into a fun game, kids will be more willing to help out tidy toys away or help with bigger jobs around the home. A bonus is if they are helping you, they’re not making a mess somewhere you have just tidied! 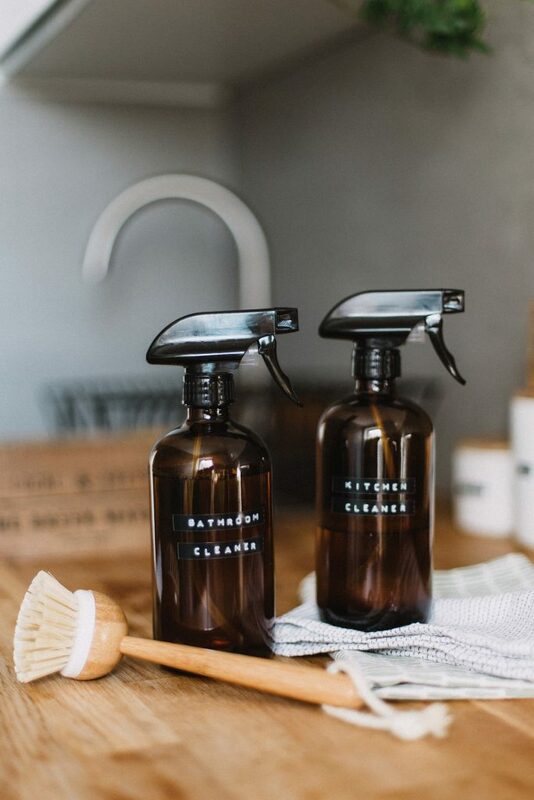 If you’re able to hire a cleaner to help you out with bigger jobs during the week or even to do the things you hate to do, this is an excellent way to keep your house cleaner and tidier if you are short on time. You can hire cleaners by the hour for small general cleaning jobs around the home or bigger jobs that require more time but leave your home looking amazing afterwards. You can book one off deep cleans, end of tenancy cleans if you are moving home or make it a regular arrangement to make life that little bit easier day-to-day.